The U.S. has scrambled to bolster support for the tribunal and the pro-Western government of Lebanon in the face of threats of violence from Hezbollah if the indictments are handed down. Among those being looked at in the U.N. probe, according to the people briefed on it, is Mustafa Badreddine, a senior Hezbollah military commander and brother-in-law of Imad Mugniyah, who was among the Federal Bureau of Investigation's most-wanted men before his death nearly three years ago. Mr. Mugniyah is alleged by U.S. officials to have overseen a string of terrorist attacks against American interests in the 1980s, including the 1983 bombing of the U.S. Marine Corps barracks in Beirut that killed 241 servicemen. Mr. Mugniyah, who was killed in a 2008 car bombing in Damascus, Syria, is also believed by U.N. investigators to have played a role, along with his brother-in-law, in the car bombing in downtown Beirut that killed Mr. Hariri and 22 others, according to the people briefed on the probe. The rising tensions inside Lebanon have significantly undercut the Obama administration's efforts to mend relations with Syria, among the suspects in Mr. Hariri's murder. The U.S. has coveted better ties with Damascus, both to stabilize Lebanon and underpin the broader Arab-Israeli peace process. Washington has also hoped to weaken Syria's military alliance with Iran. In recent months, however, Syrian officials have called for the ending of the U.N. tribunal. And U.S. officials have publicly charged Damascus with transferring increasingly sophisticated missiles to Hezbollah. In initial reports, U.N. investigators alleged that Syrian intelligence agents played a role in Mr. Hariri's death, a charge Damascus has denied. At the time of the assassination, Syria had 15,000 troops inside Lebanon, oversaw virtually all of Beirut's security and political decisions and closely coordinated its actions with Hezbollah. In 2005, the U.N. court ordered the detention of four Lebanese generals who worked closely with Syria. They were released last year after a prosecuting judge said the court didn't have enough evidence to continue holding them; they could still be indicted at a later time. Syrian officials are calling for the U.N.'s probe to be scrapped in favor of an independent Lebanese investigation. "This is not the proper way to reach the facts behind who assassinated the late Prime Minister Hariri," Syrian Foreign Minister Walid Moallem said in a September interview. "It [is] known that the forces who stand behind this effort have to decide between stability or disturbance." Hezbollah Secretary-General Hassan Nasrallah said in July that he expected members of his group to be indicted, but he has denied that Hezbollah played any role in Mr. Hariri's death and has called the tribunal's work politicized against Hezbollah. Mr. Nasrallah has publicly presented information that he says implicates Israel in the assassination. Israel has denied any role in Mr. Hariri's killing and called Hezbollah's claims "unfounded and ridiculous." Parliamentarians from a Hezbollah-led bloc in Lebanon's government have tried to open a separate judicial inquiry into the matter, a move critics say is intended to stall the work of the tribunal. Members of Hezbollah's central committee didn't respond to requests for comment. The offices of the U.N. Special Tribunal for Lebanon declined to comment Friday on the status of the Hariri case. But the president of the tribunal told reporters in The Hague, the Netherlands, last Wednesday that it is his hope that the indictments will be issued next month. "We want to show that our international tribunal can do justice in an impartial way, free from bias," Italian Judge Antonio Cassese said. Much of the tribunal's case rests on intercepts of cellphone communications among the alleged assassins in February 2005, according to the individuals briefed on the case. The alleged perpetrators initially worked through a closed cell-phone network. This protection was compromised when one of the group's members called his girlfriend, according to these people. The expected indictments have stoked growing concern in Washington and Arab capitals about the stability of Lebanon and the durability of Beirut's pro-Western government, led by Prime Minster Saad Hariri, Rafik Hariri's son. Lebanon is viewed in the U.S. as a key front-line state in Washington's battle for regional influence with Iran and Syria. Tehran and Damascus are the principal arms suppliers and funders of Hezbollah. In recent days, people who identified themselves as Hezbollah supporters in Beirut have attacked and injured U.N. staff working on the investigation into Rafik Hariri's death. Mr. Nasrallah and other Hezbollah leaders have publicly warned Saad Hariri's government against providing any further assistance to the tribunal, and have suggested violence if indictments are handed down. "Such an indictment is a warning bell equivalent to lighting the fuse, to igniting the wick for an explosion, and is dangerous for Lebanon," Hezbollah's No. 2 official, Naim Qassem, told the BBC Arabic service on Tuesday. Hezbollah isn't likely to give up any of its members to the tribunal, and Lebanon's armed forces are significantly weaker than Hezbollah's militia. 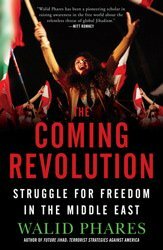 In 2008, Hezbollah militiamen briefly seized swaths of territory in Beirut, following a standoff over security issues with Mr. Hariri's pro-Western faction during Lebanon's previous government. 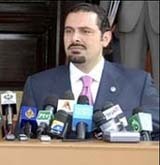 The Obama administration has scrambled in recent weeks to increase its support for Saad Hariri, as well as for the tribunal. Last Wednesday, the U.S. said it was providing an additional $10 million for the court's operations. Lebanon is responsible for 49% of the tribunal's budget, which was originally envisaged at $40 million per year. But Hezbollah lawmakers have tried to block further funding. The State Department's point man on the Middle East, Assistant Secretary of State Jeffrey Feltman, visited Beirut late last month to pledge Washington's support for the tribunal. He also held meetings with two politicians seen as critical to Saad Hariri's political survival—President Michel Suleiman and Walid Jumblatt, head of Lebanon's Druze minority. Mr. Suleiman, the former commander of Lebanon's armed forces, has been seen as an independent arbiter between the government and Hezbollah camps. Secretary of State Hillary Clinton has also called Mr. Suleiman in recent weeks, according to the State Department. "We wanted to reaffirm our support for Lebanon and the work of the tribunal," said a senior U.S. official working on the Middle East. "We also wanted to remind President Suleiman that we have certain expectations of the Lebanese military and the state." Mr. Jumblatt, originally one of the strongest supporters of Saad Hariri and the investigation into his father's murder, has damped his enthusiasm for the U.N.'s work in recent months, saying it risks setting off a sectarian conflict inside Lebanon. Hezbollah represents Lebanon's Shiite population, while Mr. Hariri is the leader of the country's largest Sunni political faction. Members of Mr. Hariri's coalition have interpreted Hezbollah's warnings over the possible indictments as a bid to incite fresh sect-based violence. "The rise of sectarianism by the opposition worries us," says Ammar Houri, a parliamentarian from Saad Hariri's Future party. "It should worry everybody." Despite the younger Mr. Hariri's personal stake in the probe, it isn't clear how much resolve he will ultimately show in pushing for the enforcement of any indictments. After fending off an electoral challenge by the Hezbollah-led opposition in the summer of 2009, Mr. Hariri has reached out to Mr. Nasrallah. The two sides agreed on a unity government, led by Mr. Hariri. In a rare meeting earlier this summer, Mr. Hariri suggested to Mr. Nasrallah that the two cooperate on a crisis-management strategy for handling the indictments, according to people close to Mr. Hariri. Mr. Nasrallah rejected the idea, these people said. Senior U.S. officials said there are indications that Hezbollah and its political allies could use the indictments to force an end to the current unity government. Mr. Hariri's slim parliamentary majority is vulnerable to the defection of key Christian and Druze politicians, like Mr. Jumblatt. "I'm acting under the assumption that Hezbollah wants to topple the government constitutionally, rather than turning its guns on the Lebanese people," said one senior U.S. official. "Hezbollah wants to challenge any indictments and gut the tribunal of any meaning inside Lebanon." Parliamentary allies of Hezbollah deny that the group is seeking to overthrow the government or upend the political system by force. "The opposition respects the rule of law," said Walid Sukkarieh, a retired Lebanese general and current parliamentarian allied to Hezbollah.